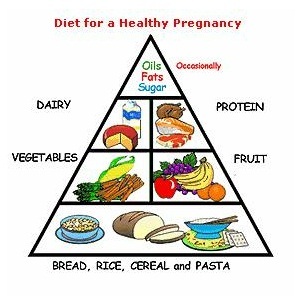 During pregnancy you have to make sure that all of your decisions on what you eat are the right ones. 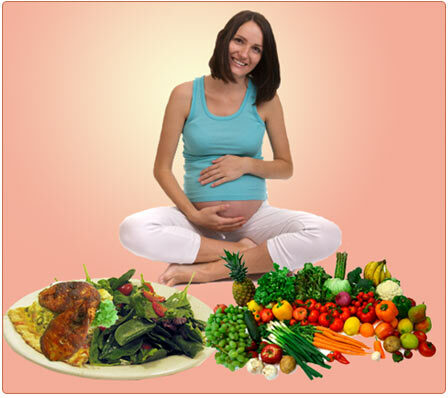 Whilst the choices may become harder, you have to remember that everything you eat is also feeding your baby. So that creamy curry might not always be the best option! When you add things like sickness, tiredness and constipation you can begin to wonder whether eating is worthwhile at all! First of all, you will want to have a healthy diet now you’re eating for two. There are tablets and supplements you can take during your pregnancy which support you and your baby’s nutritional needs, but avoid vitamin A; this means taking special care to make sure any multivitamin tablets you’re taking do not contain vitamin A as overdosing is harmful to your baby. You can also find natural sources of these so let’s look at what minerals you need and how to find them. Whilst pregnant and breastfeeding, you’ll need 10 micrograms of vitamin C a day as well as 400 micrograms of folic acid. Chicken liver also has high quantities of folic acid; however liver products have been known to contain too much vitamin A and should be avoided whilst you’re pregnant. Steaming foods is also a good way of preserving the natural qualities of foodstuffs. This also goes for foods which include vitamin c as the vitamin is sensitive to light, air and heat. The best way to eat food with vitamin c is to lightly cook them or have them raw. Luckily, a lot of food which includes folic acid also has a good percentage of vitamin c in too, such as green, leafy vegetables like spinach and turnip greens. Anything which contains listeria, harmful bacteria to unborn babies. Listeria can be found in pâtés of any kind, including vegetable pâté. Also in brie, chevre, camembert and any other mould-ripened cheese as well as Danish blue, gorgonzola and other soft, blue-veined cheeses. Listeria is also found in cold meats and smoked fish, also the percentage is much lower. Strictly avoid any liver including products containing liver (sausages or pâté) as these foods can contain harmful levels of vitamin A. You should also be avoiding eating shark, swordfish or marlin. Unpasteurised goat’s or sheep’s milk is also off the menu, including any food made out of them, (soft goat’s cheese.) Avoid homemade mayonnaise and mousses, as these can often contain undercooked egg. While you’re pregnant you’re able to drink pasteurised or UHT milk including products made from them. Foods you’ll want to cut down on include tuna steaks. Have no more than 140grams of tuna cooked or canned per week. You should also cut down on any caffeine intake; have no more than 200mg of caffeine a day, which is approx: 2 mugs of instant coffee or 1 cup of filter coffee; 2 ½ cups of tea; 5 cans of cola; 4 plain chocolate bars; 8 milk chocolate bars or 2 ½ energy drinks. You’ll also want to cook foods thoroughly before consumption. Make sure any meat is cooked through and there’s no pink in sight and apply a similar rule to shellfish, only extremely well cooked will do. Also, the whites and yolks in eggs should be solid before you eat them. Finally, make sure you wash all vegetables and fruit to remove any soil before consumption. When you are pregnant it is important to eat somewhere between 200 and 300 extra calories, so looking at a sample diet could really help you make decisions. For breakfast you could consider: a fruit smoothie, half a grapefruit, Cheerios or Muesli (with skimmed milk), or even some scrambled eggs – although they would have to be well cooked due to salmonella worries. For lunch it is important to continue that healthy outlook and a flat bread sandwich with some salad or some white meat could be a great choice. You might even want to try a fresh soup alongside to add to those extra calories you need. In the evening it might be a good idea to bring fish into your diet, or some kind of bean to add protein. Other things such as nuts and steak (as long as it is lean) could be a good option. Remember to keep it balanced, so if you have some meat ensure that you have the right amount of vegetables too! It is important to remember that you do not have to have big meals everyday. Perhaps you could consider some smaller snacks to add to your diet. Remember that the first option should probably be fruit and with a well-stocked fruit bowl you can help your diet immensely. Otherwise you could choose some vegetable crisps, fruit juice or some various nuts and fruit from your local health shop. Exercising whilst pregnant is important too, it can really help you in labour, so try and add a walk into your diet regime, you wont regret it later on! Also try and make sure you count your calories, this will help you ensure that both you and baby are getting all the calories you need. If you have diabetes, it can feel even harder to choose the right diet for you and your baby; however the best thing to do is to create a meal plan. Make an appointment with a dietician who can advise what meal plan would be best based on your level of glucose intolerance, weight, height and activity levels. Some simple tips to follow before you get a chance to see a dietician are to limit your amount of lactose-high milk; limit foods which can quickly elevate your blood sugar; eat more high-fibre foods; eat a hearty breakfast by limiting your carbohydrates but increasing your protein levels; don’t skip any meals and balance your meals by distributing your calories and carbohydrates throughout the day, not just having them all in one meal. Remember, being pregnant doesn’t mean you can’t enjoy the occasional treat here and there. Just be sensible, know your own body’s limits and what is good for you and your baby.